When it comes to children’s games, not many indie developers have such an extensive back catalog as Beansprites, a small team from California who have covered cafe culture to dentistry is their myriad of colorful games. 1. What made you want to make games primarily for young children? The decision to make apps for kids was something that just occurred organically – I’ve always been a fan of all genres of video games, and I especially loved light-hearted platformers such as Castle Of Illusion: Starring Mickey Mouse for Sega Genesis, that could easily qualify as a kiddie platformer. I was also no stranger to playing games like “Putt Putt goes to the Moon” – which was a 2D point and click learning game for kids. I would experiment with all genres, but the kids app genre is always what appealed to me the most, and also where ideas came naturally. 2. Do you approach children’s game design in a similar way to adult game design, or is the process different? A majority of the applications you see in my portfolio are geared towards the very younger age group, probably starting at 3 and up. I approach game design in a similar way for the majority of my apps – encompassing a very intuitive user interface where even a 3 year old could pick up and play the game without any assistance from a parent or teacher. I’ve even had reviews where parents have stated it was easy for their kid to get started, and they didn’t require any help. That is my goal for the initial experience – of course, keeping them engaged for long periods, and having them come back to my app over and over is another very important goal in game design – especially for kids of a younger age bracket who tend to have much shorter attention spans than the older kids and “tween” crowd. 3. What game style or type have you found to be most successful in your experience? It’s difficult to pinpoint one genre, because it changes all the time depending on what consumers want to play – basically I study what is trending in the app store in terms of popularity and try to design an app with a twist, and add more unique features to that app that will make it stand out from the rest. In previous years, food apps have been very popular, but the focus has changed to other app genres, and adapting to that change is crucial to success. 4. You charge a minimal amount for your games, why did you chose to avoid the free to play model? For the paid model, 0.99 cents is the most I will charge for my apps given their content and genre – namely that they are geared towards kids – I’ve avoided the free to paid model for Nook & Amazon, but institute iAP for iOS – Each App Store is different in terms of what works, and I may institute a free to play model for Amazon and Nook in the future. 5. Which platform do you prefer to make games for and why? I enjoy working with all platforms – I always prefer iOS as I prefer their operating system, but Android is a market that is booming right now – I think it’s very important to consider all markets, even obscure ones that you think may not be successful. 6. Do you have any game development tips for those looking to make games for children? One tip I have is if you’re making educational games for kids, go read up on some activity books you find in the kids section at Target, or Barnes & Noble – buy a few of those, and study those activities, and try implementing them into an app – there are endless possibilities for educational apps in the app store, and apple is always looking to feature new and innovative products! 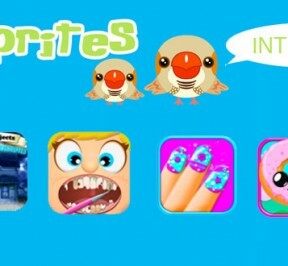 If you have a unique art style, that also helps – games from developers like Duck Duck Moose, and Toca Boca have a very unique art style, and branding that you would recognize immediately if seen on the app store. 7. Which game has been your most successful to date and why do you think it was so popular? One of my initial, and most successful games that propelled me into doing this as a full-time business was “Fairytale Preschool” – this was a very basic, kids educational app for iOS which featured activities like finding the right color bottle, counting games, memory matching etc. This one was featured by apple under New & Noteworthy, and reached the top 100 games on the app store. It also reached the top 5 position on the education category all by itself, without any marketing. Of course, fast forward 3 years later to present time, and this kind of app would never have achieved the success it did back then. 8. What channels do you market your games on and which drives the best results? I use Facebook, Twitter as the primary marketing outlets. There are also ad campaigns that you can run to drive installs to your apps, but they work better with free models for applications and games. Free App of the Day is another good example of marketing, but they charge a pretty penny for their services. 9. Like many game designers, do you have a BIG game in you which you will eventually build? We are currently working on a 2D adventure game which will be released by next year – that is the big game that I’ve always wanted to work on, and it’s the biggest, most daunting project I’ve ever worked on to date. 10. What title(s) do you have in development at the moment? At the moment, we are working on the 2D adventure game, full steam ahead! I also still make time for the kids apps, and if I see something trending, I will work on a piece for the app store. The holidays are coming up, so holiday themed apps are also in the works! 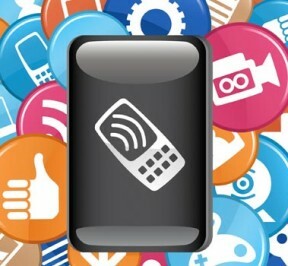 Everyone has an idea in mind of the key features and functionalities that they desire in their phones. 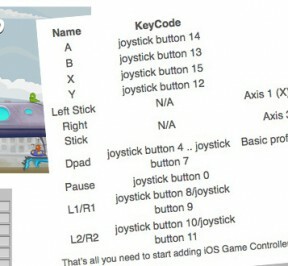 For iPhone consumers, one of the top key features them our driven to be games. With a higher interest in games, iPhone is crowned “mobile device king” by an end of the year study this past year. Data driven from users of popular platforms such as Androids, iPhones, and Blackberries, iPhone conquered far above its opponents when it came to devoted gamers. This provides interesting feedback about iPhone consumers. iPhone gamers come from a wide spectrum of interests and tend to be very loyal to their playing time. 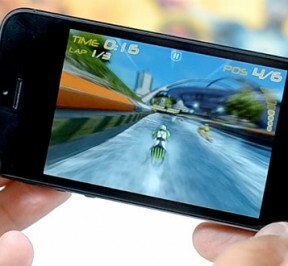 It is recorded that iPhone gamers play their games of choice typically 743.1 minutes on a monthly basis. This number far exceeds the Android gamers who clocked in at 484 minutes on a monthly basis. So iPhone attracts their consumers to their games and then captivates them into playing on a more regular basis than any other mobile device platform. And the numbers are just rising! With more mobile consumers turning towards smartphones, gaming popularity is just increasing among Americans. In a couple of years, estimation 2016, more than half of mobile consumers are going to be dubbed iPhone gamers. The most striking data derived from the increase popularity of iPhone gaming is that it has been determined that iPhone game features are used significantly more than any other feature on the iPhone. Popular features such as texting, social networking, and even the basic phone call, all fall short of the minutes used by iPhone games and their devote gamers. It is true that the market of Android is open source; however, top notch game developers prefer developing their product on iOS versus Androids. Think of the iPhone as a “playing field.” Most extremely popular and successful games that people of all interests flock to be probably introduced on the iPhone first. After the game proves in its success, it may then be converted and developed into an Android game. So die hard mobile gamers, who typically want “it” first, tend to migrate to the iPhone knowing they can get the latest and greatest from top game developers first. Game developers have even been stumped into thinking that with the high success of their product on iPhone it would do just as well or better on the Android. However, in some cases this is proven false. This all relates deeply on that iPhone gamers are more devoted to their favorite games and out play an Android gamer any day. I phone devices themselves are much more advanced devices than that of most android driven devices. Apple has created the iPhone in such a way that it utilizes each aspect of the device and typically out performs the Android. What this means is that for the most part iPhone game developers can experience their game on a better platform and device to get the full experience of their game. In conclusion the iPhone is the best testing and developing platform for mobile games. Expect big things from our iPhone game developers and even bigger things from our iPhone developers themselves. This is not a hard thing to imagine considering the iPhone consumer expects big things so under delivering is not an option. In the near future we should expect machines that are faster smaller and capable of allowing the gamer to experience a much more lifelike streamlined gaming experience than ever before. iPhone developers know that game developers and consumers are counting on them so look out and expect the unexpected. Related articles Here’s why the iPhone 5 is the best gaming phone Fund this: An iPhone game controller that’s also a case New Accessory Turns an iPhone into a Satellite Phone iPhones in Disguise ! Infinity Blade II: the best thing to happen to iPad/iPhone games? Clear is a simple to-do list app. What makes this particular to-do list app stand out from the rest is its beautiful design and easy to use interface. Clear wants to keep things simple: add a task, swipe it off the list (literally), and organize thoughts in files. Clear also connects to the cloud so backing up and storing a list is simple. Why is it so successful? – It might seem odd that a paid to-do list app is outshining the free competition, but Clear is strides ahead of the others. The key to Clear’s success lies in the app’s simple, yet stylish UI. Creating an app with a nearly self-explanatory design pulls in more users. Social Networking/Photography – Instagram by Facebook and Burbn, Inc. The introduction of Instagram changed the way mobile users take photos and share them. The app allows the user to take a photo, apply effects and filters, and upload it for others to see. As is the case with other social media outlets, users can follow other people and comment on their pictures. Facebook recently purchased the app for a stunning $1 billion, which makes it one of the fastest and biggest payouts in tech startup history according to research by Pingdom. Why is it so successful? – Before Facebook’s big purchasing move, Instagram had gained a large following. According to the New York Times, creator Kevin Systrom released a test version to influential bloggers who used it to post pictures on their sites and Twitter accounts. The trial releases created a demand, leading to huge success at the app’s launch. Angry Birds has been a clear leader in mobile gaming since its launch in December of 2009. The game now has 5 versions available on almost every mobile platform available. In addition to winning awards for Best Mobile App for Consumers from Mobile Excellence Awards and Global Mobile Awards, Angry Birds also spawned a collection of toys, books, board games, and even theme parks. Why is it so successful? – Angry Birds proves that a game doesn’t have to be expensive or complicated to develop to be a success. The game hit the mobile market early, giving it a leg up on the competition. The continued success can be attributed to the constant flow of series updates Rovio gives its new and veteran fans. The most recent update, Angry Birds: Star Wars, was released on November 6. 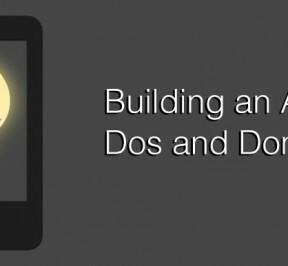 What’s to be learned from the most successful apps of 2012? It doesn’t have to be complicated to beat out the competition. Mike Krieger, Instagram co-founder, attributes his app’s success to keeping things “as simple as possible.” The most successful apps in 2012 were modest ideas that applied frequent updates, offered a simple-thrills UI, and integrated social media options to promote community engagement. 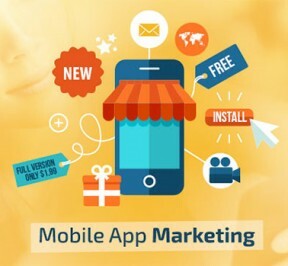 Do you have an idea for a mobile app? Let Zco give you a hand. Send us an email or request a call from one of our experts to get started.